Anger Games 3 was scheduled to take start this weekend, and run for two weekends, with 18 teams taking part. Due to the recent changes at CCP, the Thunderdome server that the Anger Games take place on was left with no caretaker after the departure of CCP Logibro. CCP Fozzie stepped up to assist with the server, but, unfortunately, he does not have the experience with Thunderdome that CCP Logibro had. This meant he was unable to add players to the server or update the build to the correct ruleset. In practical terms, the referee tools are unavailable. Each ship would have to be manually checked before taking the field, or after the match. Given the timeframe between matches, fitting in banning, ship selection, and then manually checking each ship fielded is not feasible. In the past and even with the referee tools running, ships had managed to slip through with disallowed fits, so manual checking would present a greater risk. Not being able to add players to the server meant that any players who had issues the past few weeks with accessing the server would be unable to join in time for the games to kick off on Saturday. It was felt the situation would be unfair on participants and viewers, so Sothrasil took the decision to cancel the tournament. Sothrasil has contacted all the teams and is repaying their entry fees. CCP Fozzie said that over the next few weeks that CCP will be making decisions about the future of projects. We hope that once these decisions have been taken, the Anger Games will be able to be reorganised for a later date. I caught up with Bei Artjay from Eve_NT to get some of the history of Thunderdome and Logibro’s involvement. Back in 2014, people were wondering whether CCP would run tournaments like the New Eden Open (NEO) again. It seemed they would not run such tournaments due to negative feedback and a lack of viewers. Rumours were also flying that the next Alliance Tournament might not happen. Tournament fans like Bei Artjay decided that if CCP were not going to put events on, then players would do what they could to keep the tournament scene going. 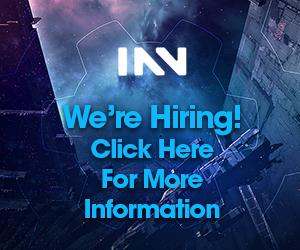 Eve_NT started Collides in 2015, and Nashh Kadavar asked the community team if they would assist with running it on SiSi. This is when Logibro first became involved with the player tournament scene, giving up his Sunday evenings to move players into the arena and check their fittings. After Collides, Logibro mentioned in passing that he had an idea for a server—Thunderdome—for players to run their own tournaments with proper tools for the job, and without the need for CCP to be present at every match to ensure the rules were followed. On SiSi, players do not have access to tournament tools, so there is no way to enforce fits, implants etc without CCP being present. CCP Logibro’s hard work paid off, and the player-run tournament scene picked up again. As Collides finished, he announced that he had been given permission to set up Thunderdome, and had been given a budget to keep it running. He taught himself how to work with the infamous spaghetti code behind Eve, along with how to update the tournament tool and Thunderdome server. The tournament tools require updating with the rules for each specific tournament, allowing referees to easily check the legality of fits. The Eve_NT championships 1 and 2 were run on Thunderdome last year, as well as Anger Games 1 and 2, which required Logibro to add each player for the tournaments and alter the rules each time. The practice matches for Alliance Tournament 14 & 15 were also run on Thunderdome. Participants in these tournaments felt that access to a tournament ruleset server increased their enjoyment of the tournament. Thunderdome was also used for the feeder rounds for AT15, which were well-received, and allowed newer participants access to the tournament. CCP Logibro wasn’t the only CCP dev involved with the tournament scene; CCP Fozzie, CCP Falcon and CCP Guard have also been very supportive of these player initiatives. Logibro was the developer who would reply to people at 1am who had made mistakes and forgotten to list all their team members, while not getting irritated at them. Eve_NT have a tournament coming up on Thunderdome in two weeks, and while the ruleset isn’t a problem regarding their tournament, it is currently unknown if anyone at CCP knows how to add new accounts to Thunderdome. I also spoke to Vordak Kallager from Spooky Action at a Distance, which won Anger Games 2 and are therefore the undefeated champions until new challengers arise when Anger Games is able to be run again. His team had put in 18 rounds of practice matches for the Anger Games 3, a considerable amount of hours given each practice round involves 20 players playing for 2-3 hours a round. From their perspective, access to Thunderdome enabled the small gang competitive PvP aspect of the tournament to be accessible to more players than if it was just run through SiSi. Spooky Action at a Distance is hoping for Thunderdome to remain open and updated for these non-AT tournaments to continue. CCP Falcon posted on Reddit to say that while CCP were looking at prioritizing several community projects, the Anger Games was just too close to the recent events for them to be able to help out. CCP Fozzie has been helping out players as much as possible with Thunderdome and enabled them to get on there today after a launcher malfunction prevented logins. Unfortunately, the build on there at the moment is the AT practice rounds ruleset, and he is unable to update the server to the required builds for current tournaments. 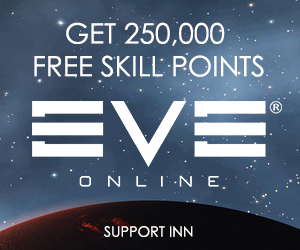 Eve Tournaments have begun to gain traction again in the past year, with the AT, and Eve_NT tournaments growing in viewers, as well as the newer Anger Games taking shape and picking up interest among groups who have never done tournaments before. The Anger Games is particularly attractive to these groups, as only teams who have not had a strong AT presence are allowed to enter. Hopefully, once the dust settles after this latest set of events at CCP, Thunderdome can once again be picked up by devs, and maintained for players to run their own tournaments. For now, Fozzie is doing the best he can. While it is very much appreciated, he is unfortunately not CCP Logibro. Just when the tournament and spectator sport side of Eve is getting good, CCP front office sacks the guy that made it happen. This years AT broadcasting from Eve_NT was way better than CCP deserves, and now we’re left wondering if we ever get to see the scene reach it’s potential. Maybe we should call the 2017 season the Firefly Games. The AT coverage was really amazing from the guys at NT this year. Nashh & the crew knocked it out of the park. I hope that CCP find a way to keep Thunderdome going, because, it is a unique resource in my opinion, and a great way for players to run tournaments of all sizes. In the long run, enabling players to do these tournaments can only be a good thing. I’ve always enjoyed watching the AT and other player hosted tournaments. In fact, the player run ones are arguably even more interesting because it isn’t for the AT ships so people bring riskier/unconventional setups.